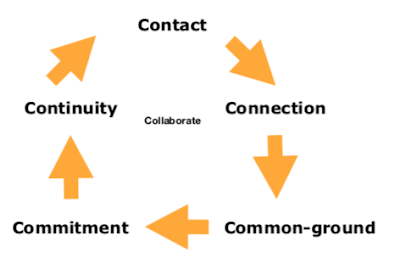 As a general rule there is a reluctance to have conversations about performance particularly when there is conflict, disagreement and/or difficulty. “Managers Lack Courage to Have Difficult Performance Discussions” so said 63% of 750 respondents World atWork/Sibson 2010 Study on The State of Performance Management. Of course in recent times many organisations have moved away from performance management. Here's just one article of many on the subject. I have been writing about this shift for more than two decades. Here's my latest article on the move to performance leadership. 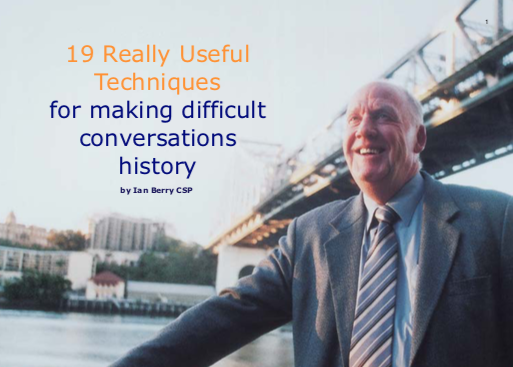 The 19 really useful techniques for making difficult conversations history ebook provides immediately doable ways to leave performance management where it belongs, in the past, and inspire a step-up to performance leadership where candour, conviviality and compassion live. In the “Human Age” we are embracing, not having conversations about performance, especially when they are difficult is a fast track to seeing your business disappear. Embrace the 19 techniques and you will begin the journey to building a workplace where people really matter. Performance improvement will follow. Please download this ebook with my compliments. And please share this ebook with those people you feel would value it. Thank You.